We've been busy doing a lot of nothing lately. Well, except for the yard work, which included a day trip to Boise and back, but that's another blog all in itself. So here's a few pictures from over the weekend. The fans got a little crazy! Such a classic shot of Kate. No undies, giving you the "what you think you're doing" glare, while making a giant mess. Ahhh....we love this girl. We visited the graves of Jarom's grandfather and great-grandparents, a few aunts and uncles (greats included) and a cousin, my grandfather, great grandparents and uncles, and also my older brother (who was still born). The best part of all of this is that they are all in the very same cemetery. I wish I would have had my camera out when Carter laid down on a grave of a stranger and made a snow angel in the grass. I know it was totally disrespectful, and I made him get up immediately, but it really was quite hilarious. I think if some cute little kid came and made a "grass angel" on my grave, it would make me smile. And finally we enjoyed a bbq at my folk's house and made the most of the rain. Didn't Jeff Foxworthy once say, "If you've ever pushed your kids around on a John Deere tractor...inside a wheelbarrow...in the rain...you might be a redneck"? i love dayne's comment. FUNNY! anyway, can i just say i am thankful for your update. it's been TOO long...especially for you! and i would smile too if a little kid made a "snow angel" in the grass above my grave. cute! Dayne- I guess you'll never be able to take the redneck out of us. LOL! 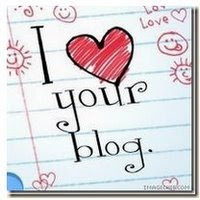 Becky- Yesh, it's been a bit of blogger block for me. Hopefully it won't continue. Oh man, is gas outrageous or what. Jeff's mom lives in So. Cal and she said it's about 4.35! The picture of your daugher sans undies is "cracking" me up...those sweet cheeks...oh my gosh...yes, gas is crazy...we are at $3.91. My husband has to buy premium for his, car and it is well over $4.00. Ugh BTW, you don't need to handcount the number of your posts. Just go to your dashboard, and it will tell you. Or you can find it on the line by line list of posts...upper right corner of that page I believe. And thanks for finally updating! Such great nothingness in our lives that amounts to a lot of somethings. Love the bum crack shot. Classic. Save that one for dates. What a fun dad Jarom is! I can't believe he took the kids around in the wheelbarrow. Looks like so much fun. Makes you wish you were a kid again, huh? Emily- Thus, the "staycation" this year. YUCK! Debbie- I knew there had to be an easier way. Thanks. Julie- Yeah, saving it for sure. She'll hate us for it. Jewelle- He is a great dad. We're glad we have him. Elise- LOL! Nope, only a Boston Red Sox hat. The funny thing is, is that whenever he picks a souvenir hat he always gravitates towards red. Funny! And I notice that Kate's pants are on backwards. What's the little flower looking tattoo on her bum? Mom- It's just the elastic from her pants. We are anxious to see this amazing rock! Looks like everyone is enjoying their first week of summer vocation despite the rain. Redneck or not, Jarom is a cute daddy! I'm impressed. You should see Lou prep himself to go from the garage about 5 feet to his car when it's raining! :) You wouldn't catch him "singing in the rain!" That shot of Kate IS classic! I LOVE it!! I'm still laughing thinking about it. fun pictures! what's gas in your area? we're at 3.93 here in mccall...guyyah!!!!!!!!!!! Okay--Dayne's comment was priceless! I also laughed at the grass angel on the grave thing. I make my kids stay in the car when I visit the cemetary because they do stuff like that---and I can't help but chuckle. So fun again to have you here! You have the BEST posts!! I LOVED all of them - the narration, the photos, etc. You live a wonderful life! !